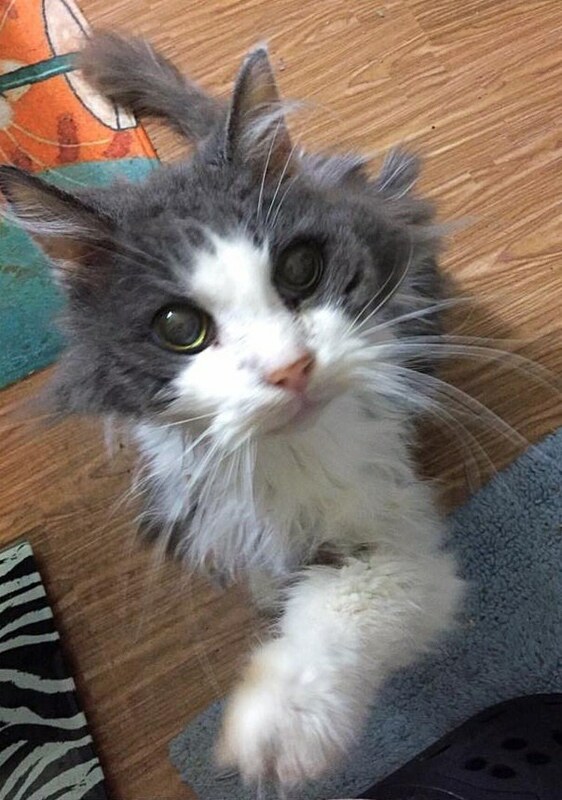 When a couple found this stunningly sweet 19-year-old cat at a kill shelter, they knew he wouldn't last long. 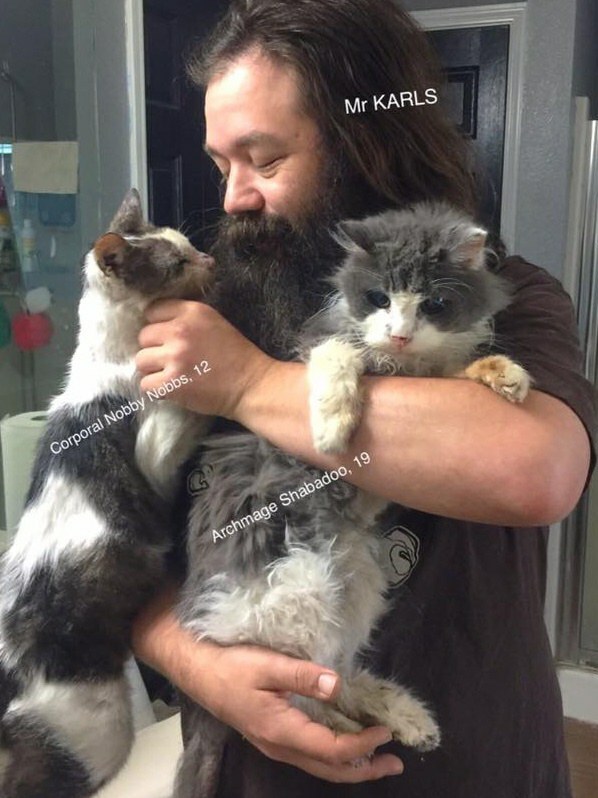 The senior kitty quickly went home with them and he hasn't stopped purring since. Say hello to Archmage Shabadoo! 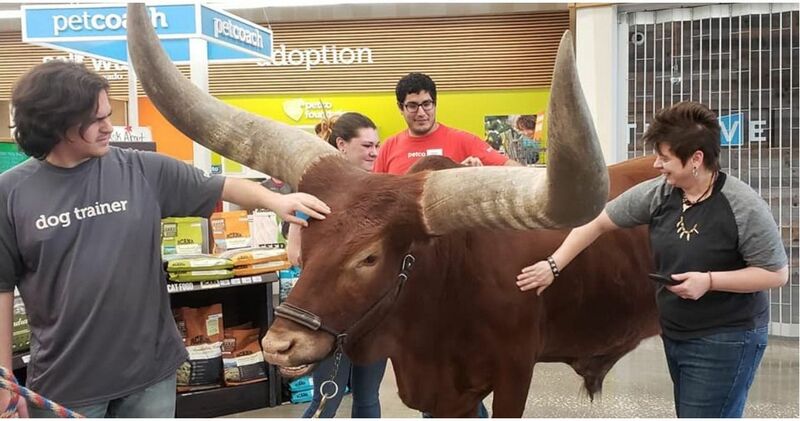 Karyn Poplin of Kitty Adventure Rescue League and Sanctuary in Fort Worth, Texas, knew that she and her husband could provide the perfect home for Archmage. 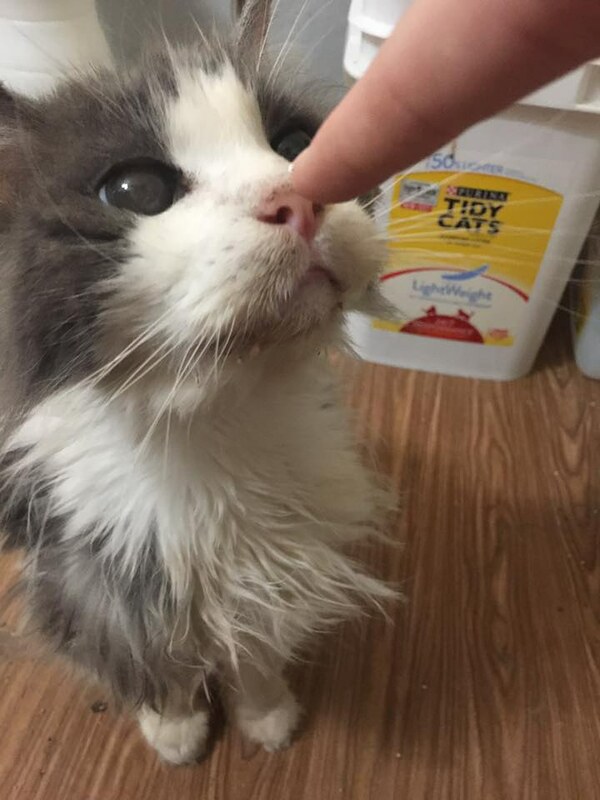 The old boy had been dumped at a high-kill shelter because his former family didn't want him anymore. 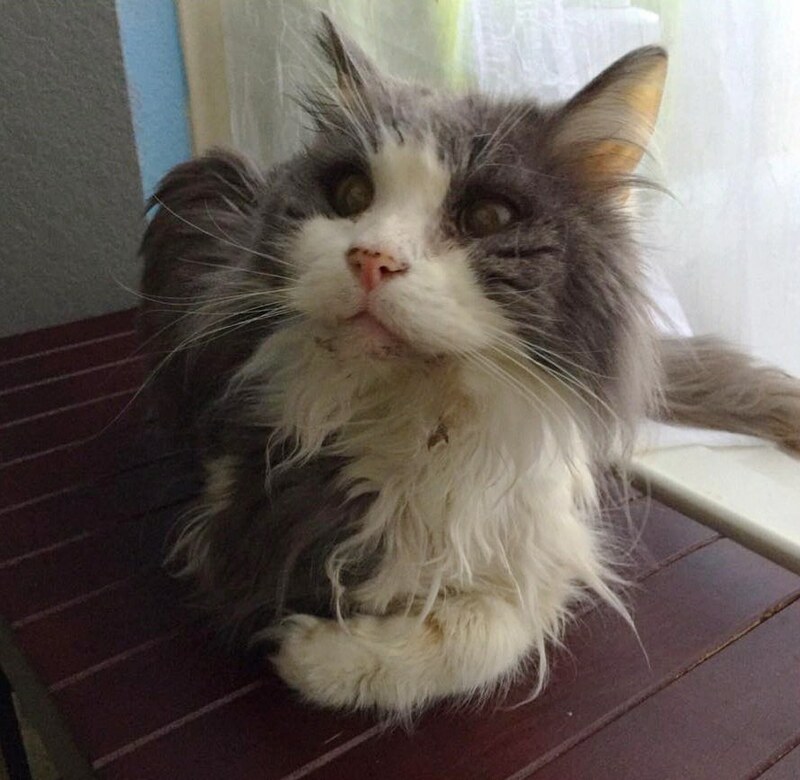 "He was left at a shelter to be euthanized because his previous family was moving," Karyn told Love Meow. Thankfully, Poplin and her husband arrived just in the nick of time! Who could turn away from those beautiful eyes? Someone gave up on the old boy, but his rescuers took one look at Archmage and knew he would be the perfect fit for their family. They quickly removed him from the high-kill shelter and brought him to live with his new best friends at their cat sanctuary. 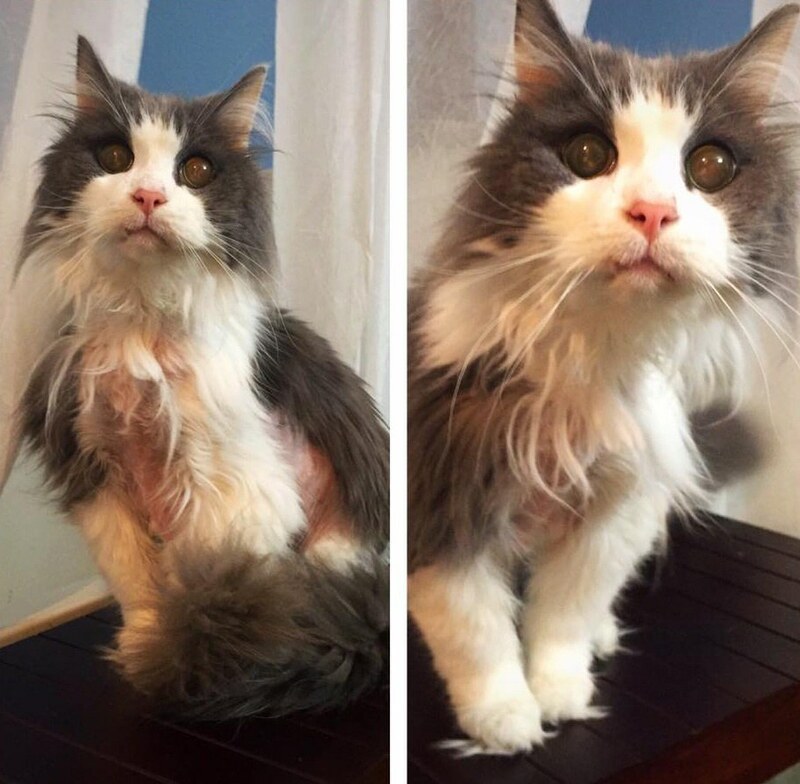 This sweet senior had a lot of matted fur that needed to be removed, so he got a little hair cut. 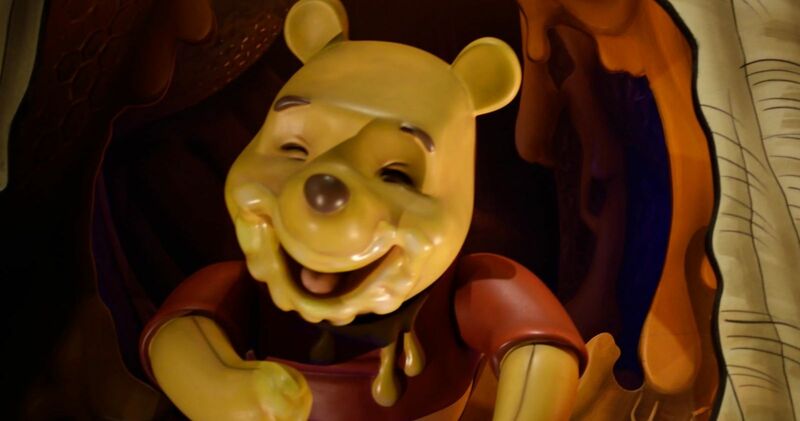 He looks happier already! As soon as he knew he was home safe and sound, he revved up his purring engine and hasn't stopped since! Sure, he looks a little rough around the edges, but don't let that fool you! He's truly a sweet heart inside. 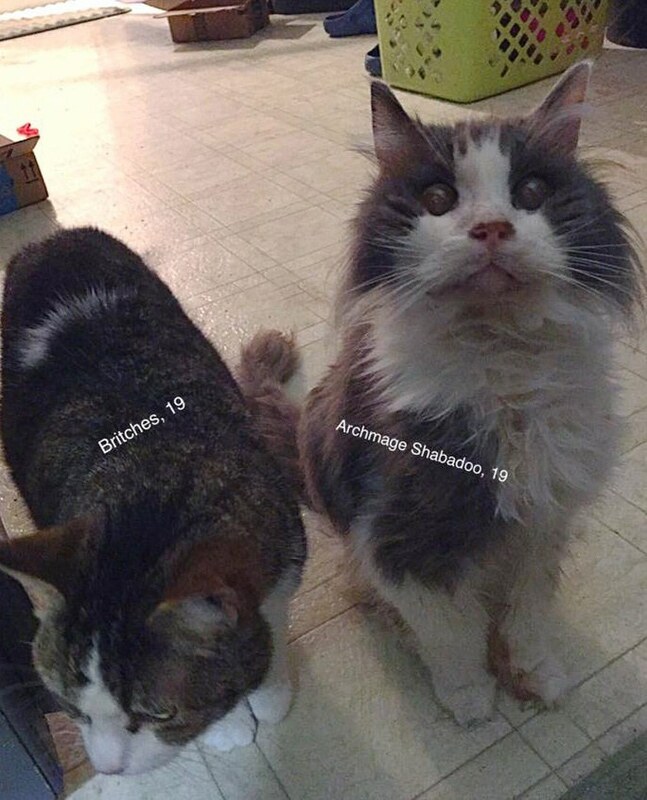 Archmage made fast friends with the other special needs, disabled and elderly cats living at the couple's sanctuary. 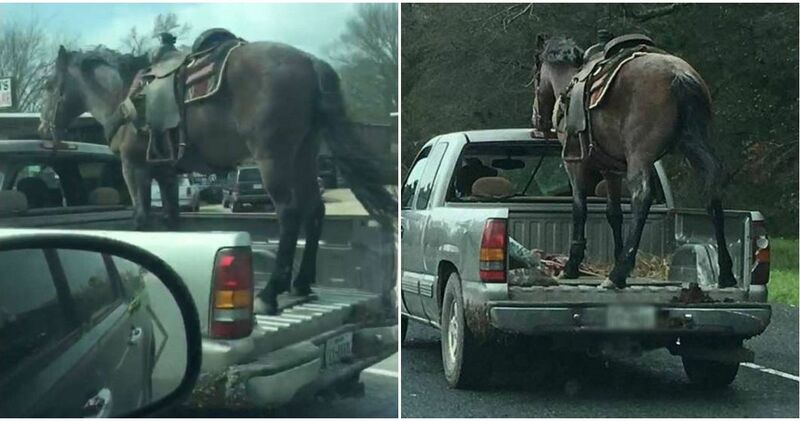 "He felt right at home as soon as we brought him here. 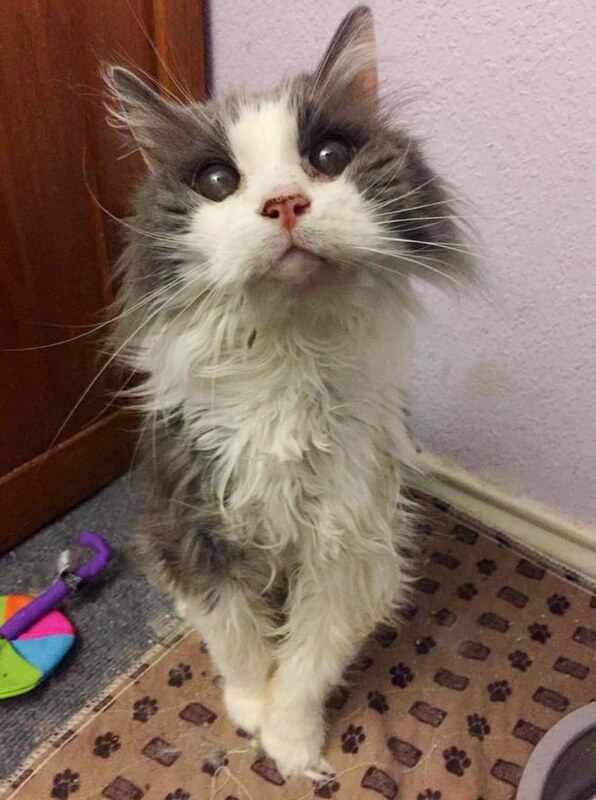 He didn't really hide or act shy once he figured out he could get canned food just by looking adorable," Karyn told Love Meow. 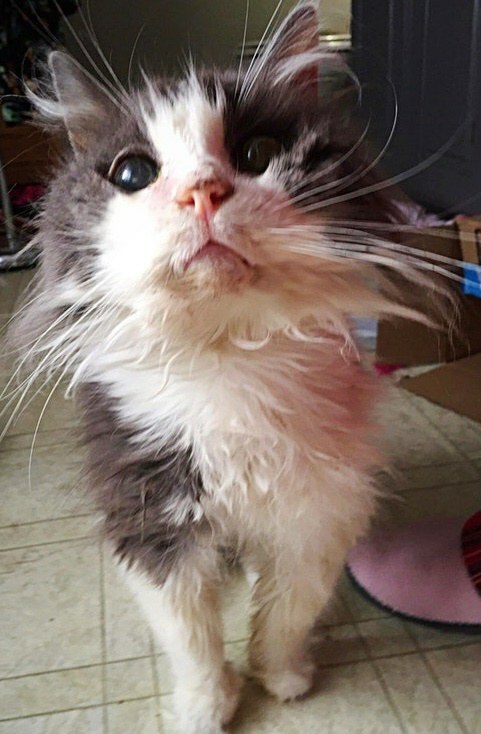 Even though his eyes are permanently dilated (a condition caused by a nutritional deficiency when he was younger), the vet says he's perfectly fine for his age. Just like every old fellow, he's highly opinionated and lets his new people know exactly how he likes to eat his dinner - thank you very much. 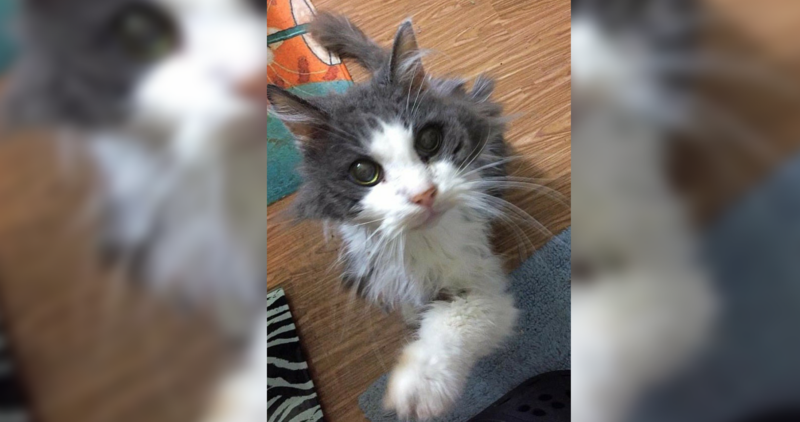 "He'll sleep next to you, but only so that you know his food bowl is empty and he's not happy about it," Karyn told Love Meow. In addition to loving the attention his humans give him, he adores cuddle time with his new girlfriend, Britches, who is also 19 years old. Thank goodness he was spared from death row. 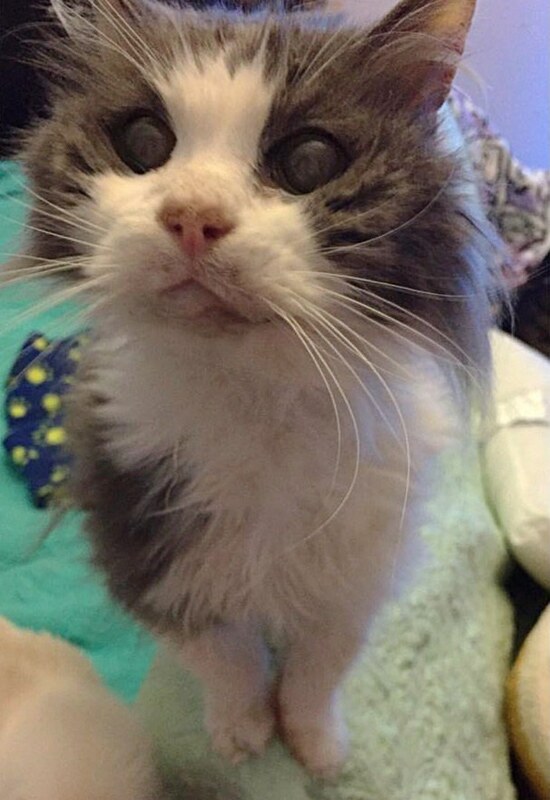 Now, thanks to his new family, he will celebrate his 20th birthday in a loving home! Learn more about Kitty Adventure Rescue League and Sanctuary here. 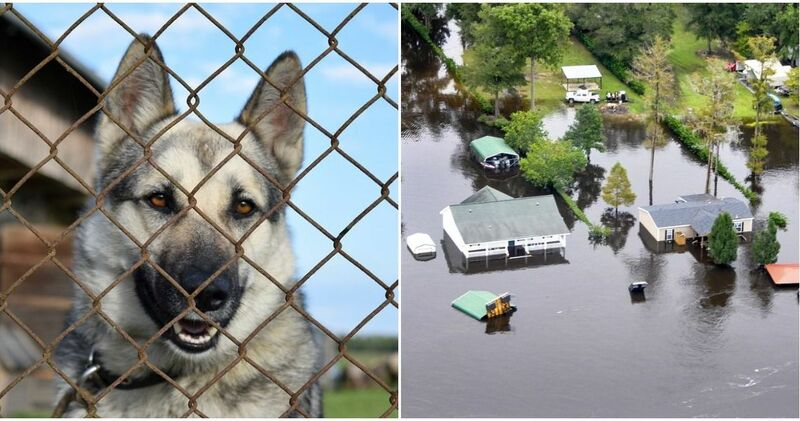 If you'd like to donate to the sanctuary, visit their website here.